The specifications state that a petrolatum paste (Denso Paste) shall act as a primer and cover all areas to be protected. A smooth external profile is then created with the use of a profiling mastic (Denso Profiling Mastic) to cover any projections from the pipework. Finally, the profile is spirally wrapped with a protective tape (Denso Tape) using a 55% overlap. Adding a preset quantity of water to a mix has long been carried out using pails or hosepipes. This is not very accurate and certainly not consistent. 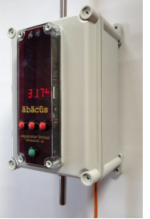 Now, Hertfordshire company AQUAMETER has announced it has developed the ABACUS digital water measuring system for dispensing accurate preset quantities of water straight into mixing vessels, tanks etc. The UK’s schools and educational facilities are regularly experiencing problems with their heating system which increases the risk of unexpected closure, according to a new report published by Bosch Commercial and Industrial.